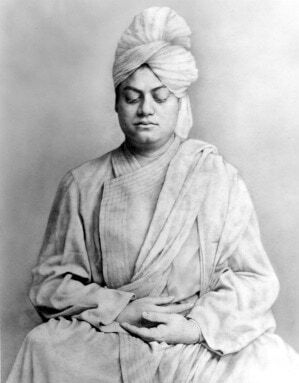 Swami Vivekananda in meditation pose, photographed in London. We found further information in Vishwavani (1929: Vol. 2, No. 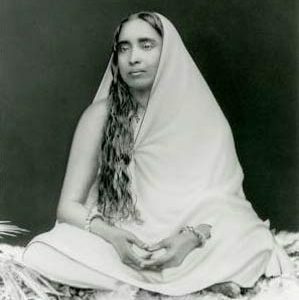 12, p 858) that Swami Abhedananda was present when Swamiji’s meditation picture was taken. Swamiji sat cross-legged with his pants and shoes on, and he covered his feet with his robe. 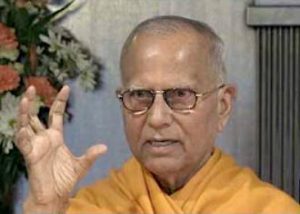 We are deeply indebted to Mr. Hench for his loving service in restoring the pictures of Sri Ramakrishna and Swami Vivekananda, which will be worshipped by millions of people all through the ages. 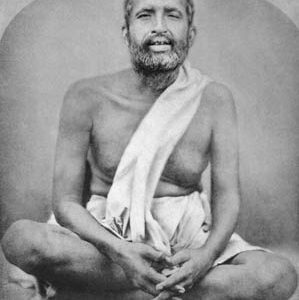 And we are happy to present to the devotees of Sri Ramakrishna, Holy Mother, and Swami Vivekananda these historical pictures, which are as close as possible to the originals.